for $434,900 with 3 bedrooms and 1 three quarter bath. This 1,104 square foot home was built in 1962 on a lot size of 0.28 Acre(s). BLANCHE LAKE!!!! 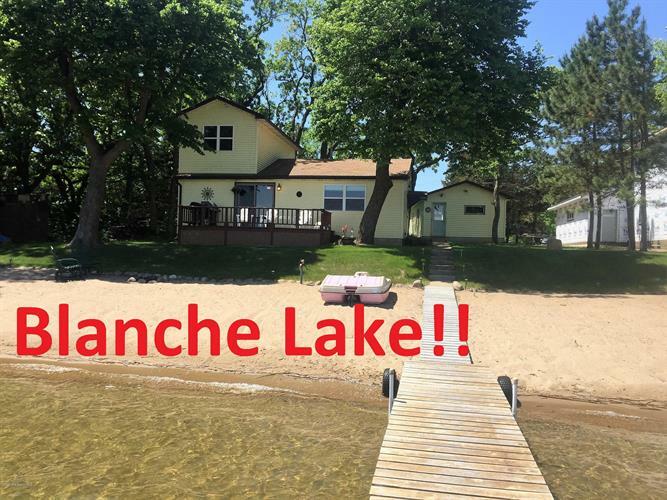 With the crystal clear waters, great fishing and swimming, and the fact that the south half of the lake is Glendalough State Park, Blanche Lake is one of the most sought after lakes in the area. This year round home with a brand new roof and deck was extensively renovated in 2010 and is move in ready!!! The beach has 75 feet of perfect sand! It is a must see to appreciate! !